Let’s talk about lawyers getting social. What does that mean, and how can it support your marketing? Social media is an umbrella term for programs that connect individuals through an online platform (such as Facebook or Linked In). Social marketing is more of an approach to connecting with your audience for their “social good,” not necessarily for financial reasons. One of the biggest challenges faced by small law firms is how to get started in social media. Where do you start? Which platform should you focus on? What and when should you post? How do you get followers and fans? It can be overwhelming! There is so much to think about and so much to distract you, because researching this is like going down a rabbit hole. Information and opinions are everywhere. It can also be a moving target – the best practices of last year are often today’s don'ts. But one thing remains consistent: It’s not going away. So let’s do something with it. Start where you are: Don’t worry about what everyone else is doing. It doesn’t matter if you’re just starting your practice or already have an existing client base, just start now where you are so it can begin to grow and evolve. Don’t worry about where it should be a year from now. Get started, because if you don’t, it can’t go anywhere. Use what you have: You might not have a budget for social, or employees to support it, and you probably think you have no content. Remember, it’s social. So just showing your personality and your law firm brand, and sharing your moments, is enough. And, you have resources right there in your office, and you have opinions, so share them. That’s what’s valuable to your audience. I bet each person reading this has content sitting on their desk they could share and comment on. Do what you can: If you can only post one time a day on one platform, start by blocking out the time in your calendar to make sure it gets done. Once you get the hang of Facebook, for instance, it won’t take as much time to add Twitter or LinkedIn after that. Don’t try to post three times a day if once is all you can commit to in the beginning. If you’re still stuck on why? The reason you should use social marketing is that it has become an integral part of our world and continues to evolve. The new theory with social marketing is that it is more than just a channel or tactic, it’s a strategy that should be present in your marketing plan. The question is no longer whether you should do social; it is, simply, why wouldn’t you do social? Social marketing is really beyond your website and participating in social platforms. Statistics confirm that having a social presence (whether it’s Facebook, LinkedIn or Twitter) can boost your career and build your reputation. Prospective clients are Googling you and your name after hearing about you through word of mouth. And Google archives social pages! So 9 out of 10 times if you Google someone’s name, you’ll find a social profile on Facebook or LinkedIn along with their website - and it's typically the top result! Think of social as lead nurturing, touching, top-of-mind awareness, further defining hot leads – or those that want to “think about it” to be sent to conversion at a later date. You are creating connections and showing up in their world. It’s important to decide which social platform you want to start with and what your objective is. If the plan is to provide workshop information, Facebook is probably the best channel for that, and it’s a good place to start if that’s where you’re most comfortable. If you want to work your RMS, then the best platform would be LinkedIn. If you already have your social going but it’s not active, then allot enough time to decide what you will post, create that content, and make at least one post two to three times a week. That will probably take you two hours if you include time to respond to conversations. The content you want to contribute is valuable content or insight for prospective clients. Ask yourself, what’s in it for them? Why would they want to “like” your post? What do they get out of it? It’s not all about you! Experiment and have fun. It’s social! Answer any questions posted, tweeted, etc. Facebook – Best from 1-4 p.m.; peak time Wednesday at 3 p.m. Facebook is a good platform for engaging with your prospects, so you’ll want to run content relevant to them. Twitter – Best from 1-3 p.m. or 5 p.m.; peak Monday through Thursday. Twitter is great for B2B. You’ll find a lot of other estate planning attorneys already on Twitter, along with marketing companies, power partners and other relevant connections. Linked In – Best from 7-9 a.m. or 5-6 p.m.; peak between Tuesday and Thursday. LinkedIn is best for wholesale marketing. You’ll get a good array of referral sources. Google+ – Best from 9-11 a.m.; peak during work hours. Google+ is good for SEO and authorship. Do the best you can with tracking and reporting your social reach, but be aware that the reporting you get from the different platforms is all over the place. People don’t tend to always chime in or react when they see something they like. It’s like if you were to do something funny at a dinner party. People don’t come up to you and congratulate you, or pat you on the back after. We all see things on social that we think are funny or interesting, but we don’t click “like” or “retweet” for every little piece of wonderful content we come across. So do not gauge your ROI on the likes, shares, etc., that you get. I read an interesting anecdote on Lexblog that really illustrated the return you get. Dan Goldman, chair of Mayo Clinic’s business law practice group, was at a conference for legal marketing and business development professionals. When they began discussing the need to measure the return on investment on their social efforts, he chuckled a bit. Goldman explained that Mayo’s 43 in-house lawyers taught him that people tend to hire the lawyers they know, like and trust. So the ones who got hired were the ones who use social media. Mayo’s in-house lawyers became known and trusted through their social efforts. Here’s hoping the info above might help you avoid the same fate. If you don’t nail all of this right out of the gate, don’t worry. It’s social; give yourself permission to just show up at the party and have fun! I don’t think anyone really expected a great announcement from the VA on March 25, 2015, with the end of the 60-day public comment period on the proposed VA rule, RIN 2900-AO73, regarding net worth, asset transfers, and income exclusions for needs-based benefits. However on that day the VA did announce several changes effective March 24, 2015 that directly impact all claims. One of these changes was the amendment of the adjudication manual M21-1MR to introduce a new intent to file procedure which replaces the informal claim process to lock in an effective date for an Improved Pension claim (with aid and attendance) prior to the filing of the Fully Developed Claim. Completing and mailing the paper VA Form 21-0966, Intent to File a Claim for Compensation and/or Pension, or Survivors Pension and/or DIC. Over the phone to the VA National Call Center or in person at a VA regional office. eBenefits is accessed from the VA website via this page https://www.ebenefits.va.gov/ebenefits/apply, However the link for filing pension claims currently generates an error. The content is blocked in both Internet Explorer and Mozilla Firefox web browsers as an untrusted connection. The option of declaring an intent to file by telephone or in person at the VA regional office has the disadvantage of lack of documentation. Furthermore the average waiting time for calls to the VA National Call Center to be answered is over an hour and, thus, would not be an efficient use of your time to use this option. Thus for now if your firm chooses to lock in an effective date prior to the filing of the fully developed claim, you must use the second of the three options listed above. Our firm has changed our process to start using the form 21-0996 with all future VA claims. The new form will also be included in a future update of the Lawyers With Purpose software. The easiest way to receive important notices directly from the VA is to subscribe to the email delivery of VA News Releases at https://public.govdelivery.com/accounts/USVA/subscriber/new or visit their website at www.va.gov. Click here to register and grab one of the few spots remaining. Today I will conclude our five part series on the five threats to qualified accounts. In our first four blogs we outlined the threats to IRA’s from income taxes, excise taxes, long-term care costs, and estate taxes. Today we will focus on the final threat, the risk of loss to beneficiaries and/or their creditors. The U.S. Supreme Court in June 2014 in Clark v. Rameker held an inherited IRA is not a “retirement account” for purposes of the protection under the Bankruptcy Code. This threw the financial and estate planning industry into turmoil, but those of us who stayed abreast of the legal arguments, were not surprised by the courts decision had planned that way for many years. A second and often overlooked threat is by the beneficiary themselves. Not all beneficiaries are equipped to receive assets and properly manage or protect them. So let’s look at these dangers more closely. As outlined in our first part of this series, qualified funds are inherently protected under ERISA and the Bankruptcy Act. The challenge however, is the U.S. Supreme Court now has ruled inherited IRAs (the IRA after the death of the owner) is not protected. This is a major threat to qualified accounts. The most strategic way to protect against this threat is to ensure an individual's IRAs is beneficiary designated to a "see through” asset protection trust. For a trust to be qualified as a designated beneficiary under the Internal Revenue Regulations it requires it is irrevocable at death, it is valid under state law, the beneficiaries are "identifiable" and a copy of the trust is provided to the plan administrator. Once these four conditions are met the IRS will look “through” the trust at the beneficiaries of the trust to determine the designated beneficiary to determine the required minimum distributions. This can be an exceptional planning tool to protect the qualified account from the reach of the creditors, divorce, lawsuits, nursing homes, or other predators of the beneficiary, who now owns the IRA. For a complete review of using a trust as a beneficiary of an IRA and all its benefits register for our FREE ­­­­ Clark v. Rameker Webinar. The second major risk to qualified accounts is that while we can protect the IRAs from the predators and creditors of the beneficiary, we cannot protect it from the beneficiary them self. How often do professionals get the call from the child, that inherited an IRA who says, “I need $70,000.00 out of my inherited IRA”, then the advisor discovers it is to buy a $50,000.00 car ($20,000.00 needed for income taxes) that's worth $40,000.00 when it’s driven off the lot. For individuals who are concerned about spendthrifts as beneficiaries, qualified accounts can be protected from abuse by the beneficiary themselves by creating an accumulation trust as beneficiary. An accumulation trust allows the trustee to hold the IRA required distributions made from the IRA in the trust and are not required to be distributed out to the beneficiary. This would typically be done if there's a risk of the distribution being lost to the beneficiary’s creditors or predators. The principal argument against accumulation trusts is that the income not distributed is taxed at the higher trust tax rate. True, but the question becomes would you rather pay the highest trust income tax rate of thirty nine point six percent or give it to a beneficiary who is subject to a judgment in which case the beneficiary would receive zero. In addition, to avoid the higher income tax, the distributions would be made to other beneficiaries named in the trust. So planning to protect an IRA from your beneficiaries and for your beneficiaries is not difficult, but does require planning during the life of the IRA owner to ensure the beneficiary does receive the qualified account outright but through the form of a trust which sets all the protections the client desires. Join Lawyers With Purpose in St. Louis next week for 3.5 days of jam packed technical legal essentials necessary for any estate or elder law practicing attorney. We still have a few spots left - click here and register today. As I have been discussing there are five threats to qualified accounts that most people don’t typically consider when doing estate planning. The five major threats to qualified plans are unexpected loss to income taxes, excise taxes, long-term care costs (all covered previously), estate taxes (today’s topic) and to beneficiaries and/or their creditors. As we’ve previously outlined, the threats of incomes taxes and excise taxes can easily be avoided if planned for, and the threat to long-term care costs can be planned for with the least risk by completing an IRA analysis to determine if an IRA should be liquidated or annuitized when the IRA owner becomes subject to long term care costs. When it comes to protecting qualified accounts from estate tax, it is more challenging. If an individual dies with assets greater than $5,340,000.00 their estate is subject to a forty percent estate tax. When this occurs, the IRA (or other qualified asset) can be subject to more than seventy five percent in total taxes. How? Well assuming a $1 million IRA is part of a $7 million estate, the IRA will be subject to estate tax of forty percent ($400,000.00) and upon the liquidation of the IRA by the beneficiaries it could be taxed at a rate of up to thirty nine point six percent (39.6%), which results in an additional $396,000.00 in income tax if the beneficiary is in the highest income tax bracket. To add insult to injury, there is no deduction on the value of the estate tax return for the income tax due on the IRA. As if federal taxes were not enough, there can be state income taxes dues when the IRA is liquidated to pay the federal estate tax. It gets even worse if you live in a state that has an estate tax. A state estate tax is yet one more tax on top of the federal estate and income taxes, and state income taxes. Most states estate taxes are up to an additional sixteen percent. And so the question becomes, how do you protect qualified accounts from estate tax liabilities? The answer is you really can’t, without first liquidating the IRA and paying the income tax (other than an annual $100,000.00 gift allowed to charity). So in order to protect IRA’s from federal and state estate taxes requires the reduction of a client’s non IRA estate during lifetime so the total estate evaluation does not exceed the estate tax limits. One strategy to do this is annual gifting, which can be effective, but often requires a significant number of beneficiaries to distribute the annual growth on an estate of that size. For example, if an individual had a $7 million estate and it grew at three percent the individual would have to give away $210,000.00 per year just to keep the estate from growing. That would require fifteen beneficiaries to distribute $14,000.00 to or eight beneficiaries if the client is married. Another strategy to reduce estate taxes is to give away money to charity. An individual can have the ability to benefit charities and their family by use of various strategies which is outside the scope of this writing. A third way to reduce estate taxes is by using legal strategies to discount the value of assets by use of various tax planning techniques. Unfortunately none of these strategies work to reduce an IRA’s value other than outright gifting after withdrawal and the payment of income tax or use of the annual allowance for distributions from qualified account to charity. In summary, subjecting qualified accounts to estate taxes is a significant burden to the tax payer which only can be minimized by ensuring their non-qualified estate is reduced and moving to a state without income tax can reduce the income tax burden. Obviously qualified accounts are very appealing as they have tax referral advantages, but one must weigh the long term benefit of the difference with the tax cost upon receipt or death. If you want to learn more about what it's like to be a Lawyers With Purpose member, join our 3.5 day Practice With Purpose Program (you can find the agenda here). We still have a few spots left so grab them now! It's a jam packed 3.5 days that include all the essentials on Asset Protection, Medicaid & VA for your estate or elder law practice. Many people are keenly aware the many advantages of qualified accounts such as IRAs, 401ks and the like but few are aware that of the five major threats to all qualified accounts. In the first two parts of this series, we discussed the risk of income taxes and excise taxes. Today, I will discuss the risk of losing IRAs to the long care costs, and finally we will continue our series with threat to IRAs by estate tax and the beneficiaries and/or their creditors after the death of the plan owner. Many people believe that IRAs and qualified assets are exempt from determining eligibility for long-term care benefits such as Medicaid or Veterans Aid and Attendance benefits. This is far from true. It is important when planning for qualified funds to be clear on what the law states. An IRA is an available resource in determining ones eligibility for Medicaid. This is deduced by the annuity exception contained in 42 USC 1496p (C) (1)(G). The law states that an IRA is exempt if annuitized and follows the provisions. Conversely, there is no exemption to IRAs being excluded under the law. Accordingly, all assets are deemed countable except in the case of an IRA that is annuitized pursuant to 42 USC 1496p (C) (1)(G). While the law is clear, many states Medicaid policy allows the individuals to protect their IRAs. In recent years however, several states have begun counting IRAs as an available resource unless it is annuitized. The challenge of annuitizing an IRA is the underlying asset is lost and instead, is converted to an income stream. The greatest threat of IRA’s to long-term care costs however, is the threat of the state changing its policy of exemption with no notice. Since the federal Medicaid law is clear it is an available asset unless it is annuitized, many states policy current exempt it if it is in “payout” status, which often just requires proof that regular payments are coming out of the IRA. Most states will accept it as long as the “required minimum distribution” is being made. This is not the law, but rather state policy. The state has the right to change this policy at any time without notice. This is a major threat to individuals trying to protect their qualified assets from the cost of long-term care. It’s also important to distinguish that while the IRA may be exempt, the income distributions are not. That’s why it is critical that you perform an IRA analysis to determine what the point of no return is. The point of no return is that point in time, when, if the IRA is annuitized, the amount paid out towards the cost of long term care from the monthly IRA income, is more than the amount that would have been paid to income taxes if it had been liquidated. 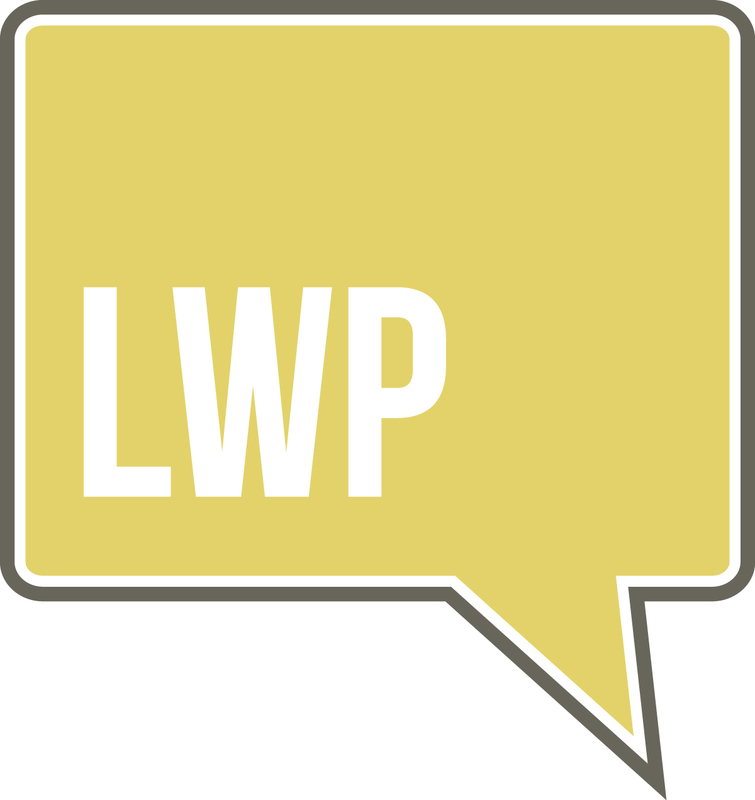 The LWP™ Medicaid Qualification software calculates a complete IRA analysis that identifies the point of no return so you can know at the beginning of planning, the length of time in a nursing home that would result in more money being paid out to long term care costs than to taxes if the IRA was liquidated and the taxes paid. For a complete demo of the software contact Molly Hall at mhall@lawyerswithpurpose.com. Or you can schedule it right now by clicking here. In this series I am discussing the five major threats to qualified assets, today is Part 2 of the five-part series (you can read Part 1 here). The five major threats to qualified funds include income taxes (covered previously), excise taxes (which we will cover today), long term care costs, estate tax and risks to beneficiaries and/or their creditors. A major threat to IRAs and other qualified assets is the unexpected payment of excise taxes. Excise taxes are in addition are ordinary income taxes and are imposed when a client takes their money too soon, or waits too long to withdraw it. Let's address each one. There is a ten percent excise tax otherwise known as the "early withdrawal penalty" if an individual removes assets from their IRA prior to age fifty nine and a half. The government has done this because it has a strong interest to ensure individuals save for retirement so they are secure and less of a risk to be a burden on society to support them. The government in recent years however has permitted certain exceptions to allow withdrawals from IRAs before fifty nine and a half for the purchase of a home or to pay medical expenses. Both of these exceptions have limitations but when properly followed, avoid the extra ten percent excise tax. Another long standing rule that avoids the excise tax, is what is commonly referred to as the 72(t) election. An IRA owner may withdraw prior to age fifty nine and a half without the excise tax if they agree to take an equal stream of payments over a period of time that is the greater of five years or when the IRA owner turns fifty nine and a half. For example if a 72(t) election is made to withdraw $300.00 a month from an IRA at age fifty, to avoid the excise tax, the recipient must agree to accept that monthly payment for nine and a half years. Alternatively, if an individual at the age of fifty seven elects to take a regular stream of payments, they must take it for a minimum of five years which would require them to continue the distributions until age sixty two. A second excise tax which is much more costly is the fifty percent excise tax if an individual fails to take the minimum distribution required under the tax law. This is commonly referred to as the "late payment penalty". The government has preferential treatment for IRAs so that people can save for retirement, but wants to ensure that they actually utilize the funds in retirement, and not just use it as a tax avoidance tool. The tax law requires IRAs to begin being distributed once an individual turns seventy and a half years old. If the individual fails to take the required minimum distribution calculated based on their age and life expectancy, they are imposed to a fifty percent excise tax in addition to the ordinary income tax rate on the undistributed required minimum distribution. Assuming a required minimum distribution was $1000.00 and an individual is in the twenty percent income tax bracket, the individual will lose seventy percent or $700.00 if the required distribution is not made timely. That is simply calculated as a $1000.00 distribution with a payment of $200.00 in income tax and $500.00 in excise tax. Obviously this is a major threat to IRAs but easy to avoid with proper management of accounts. Don't let excise taxes threaten your IRAs, ensure you leave the assets in until reaching age fifty nine and a half and begin taking the required minimum distribution when you turn seventy and a half. Stay tuned for Parts 3-5. And, if you're interested in learning more on Protecting IRA's After Clark v. Rameker join our FREE webinar this Friday at 1 Eastern. IRA’s and other qualified accounts are becoming the biggest portion of many individuals' portfolios. They have many special rules to maintain their income tax advantages and despite having special rules that protect them for income tax there are several threats to them that are often overlooked by individuals and the professionals that serve them. This will be the first of a five-part series sharing the five major threats to IRA’s and other qualified accounts and how to avoid them. So what are the five major threats to retirement plans? In my experience it is: income taxes, excise taxes, long term care costs, estate taxes, and risks to beneficiaries and/or their creditors. The first risk to IRAs, and other qualified assets, is income taxes. Many of us are aware contributions made to a qualified plan defers the income tax on the money contributed. In addition, contributions accumulate "tax free". The challenge and threat however is not upon the contribution to the plan, but the withdrawal. The presumption is the individual will withdraw the money at retirement when they are in a lower income tax bracket. That is not always true. There is a risk the individual can have a higher tax bracket after death, or that income tax rates will rise (Congress has raised rates many times in the past). Higher income tax rates later are not only caused by Congress and by the asset mix of the client, but quite often the income tax rate of the beneficiary is higher than that of the original plan owner. For example a client in retirement might be taxed at the fifteen percent tax bracket but they pass away and leave it to their children, who may be in the thirty nine and a half percent tax bracket. This is often overlooked. The biggest threat I find however, is that many individuals who own IRAs and retirement funds, only withdraw the required minimum distribution rather than optimizing the minimum income tax overall . In many circumstances, seniors pay no income tax or only pay ten or fifteen percent. A married couple over the age sixty five can earn up to $21,850.00 (not including social security) without paying any tax and up o $40,300.00 before they are subject to taxes beyond fifteen percent. But seniors routinely take the required minimum distribution rather than taking more distributions to withdraw the most possible while keeping them in the fifteen percent tax bracket or less. The biggest advantage is the after tax money (which only between zero and fifteen percent was paid) reinvested grows and is subject to capital gains rates which is lower than ordinary income tax on an IRA if ever sold during life, and if held till after death gets “stepped up” and no income tax is paid on the growth of the assets by the kids that inherit them, If the kids hold onto them all growth is subject to capital gains rates rather than the higher ordinary income tax rates. So the alert to all is don't be on autopilot, examine your short and long term income tax rates compared to your beneficiaries, to properly decide when to take advantage of strategic distributions during life to ensure you pay the overall lowest income tax on your IRA’s. Stay turned for Parts 2-5 and subscribe to our blog if you're not already (just enter your name and email on the box to the left). If you would like to learn more about protecting IRA's after Clark v. Rameker join our FREE WEBINAR this Friday at 1 EST. Click here to register. Real quick, I want to make sure you know the DOORS ARE CLOSING at 5 p.m. sharp today on registrations for the Tri-Annual Practice Enhancement Retreat, which happens the week of June 1 in St. Louis. If you are remotely considering making the event happen, you MUST reserve your seat (and hotel) today. The hotel has extended our room block TWICE, and there are only a few rooms left before the entire hotel is SOLD OUT. We honestly will not be able to work our magic after 5 p.m. TODAY. Nine different 90-minute focus sessions on legal technical, marketing, law firm operations, team training, trust drafting, cloud-based CRM workflow systems and MORE! Just to name a few items. Don’t fool yourself and say (possibly yet again), “I can’t afford (time, money or both) this one, but I definitely will get to the next one.” In my experience, when the timing couldn’t be worse, that is the very reason why you need to be in the room. Maybe your business is booming and you’re drowning and you don’t know when that will stop, or maybe a team member just quit, or possibly you have a team member you’re on the verge of firing, or cash flow is down, etc., etc., etc. To reserve one of the last seats, just click here. Not Signing Enough Appointments From Live Events? 3 Quick Fixes & Training For You! Have you ever been invited to speak to a group, or hosted your own event, where a majority of the attendees failed to request an appointment at the end of the presentation? Of course, everyone can have an “off” day where your presentation doesn’t go quite right or the event itself is a dud. But, if this is happening to you consistently, something is MAJORLY wrong. You should be booking appointments at EVERY event that you do—whether you are invited to speak in front of a networking group, or you are hosting your own estate planning workshop, or presenting for a referral source. At LWP’s Tri-Annual Practice Enhancement Retreat, happening June 1-5, we have included a high intensity boot camp known as “Speakers School” where we teach lawyers the art of speaking to not only educate, but to SELL estate planning or elder law services right on the spot. If you are struggling right now to turn more attendees of your presentations into paying clients, or you are not doing as much speaking in the community as you would like to, I would encourage you to go here NOW and reserve your space. This event is limited to 20 attendees, and spaces are filling up. If you are even remotely curious how Speaker School can help you boost your results and make speaking the most profitable thing you do in your practice, view our agenda and reserve your space HERE. 1. Your marketing- If you are hosting your own events or handling the promotion of events for referral sources, it is possible that your marketing materials are attracting the wrong prospects. Try tweaking your invitations, flyers, etc. to help prospects better “prequalify” themselves or tweak the demographics of where your materials are being sent. 2. You are not speaking to SELL- Anyone can give a lecture; speaking to sell is an art. If your presentation is not designed in such a way to “seed your offer” from the start of the talk and lead your prospects down a funnel where the only obvious choice at the end of the workshop is to schedule an appointment with you, you are wasting your time, effort and resources. 3. Zero or Insufficient Follow Up- Some people need a few days to digest all that you’ve taught them before they make a buying decision. If you did not cleverly capture their email or phone number during your workshop, you will have no way to contact those people who are still on the fence a few days later. Talk about leaving money on the table! Of course I am here to chat if you have specific questions about Speaker School or any of the other workshops we are hosting this year at our Tri-Annual Practice Enhancement Retreat. Just email me and let me know how I can help. Do You Have Your Purpose Story Down? Are you using the same dull biography to introduce your workshop, synergy meetings, and presentations and generally what you do and how you tell people. When they feel connected to you, they trust you more, and when they trust you more, they’re more inclined to hire you. Your Purpose Story will help you create the know, like and trust triad. If you’ve registered for the TAPER Specialty Program “How To Protect Your ‘Stuff’ In Three Easy Steps” on June 3rd OR are planning on attending Jeff Bellomo’s focus session on “Comparing The Three LWP Workshops” you’ll want to make sure to get this 90 minute session on your calendar (and show up!) as this is a vital piece of your homework to make your attendance at these Tri-Annual Practice Enhancement Retreat events effective for your practice. The LIVE May 18th 90 Minute Training Workshop “Master Your Purpose Story” takes place on MAY 18TH at 4pm EST. Members, to reserve your spot email Amanda at aross@lawyerswithpurpose.com. Seating is limited to the first 100 that register. The registration link has also been posted to the LWP ListServ.